Whiplash is a quick, sudden hyperextension and then hyperflexion movement of the neck. The most common cause is a motor vehicle accident, although it also can occur in contact sports and falls. The sudden movement causes the muscles, tendons and ligaments to be stretched beyond their normal limits, resulting in tissue damage and a generalised pain in the neck, upper back and even sometimes in the lower back. The reason for this generalised pain is that the nervous system is in shock, due to the extreme sudden movement of the neck. Restricted movement results, which is the nervous system protecting the spine from further damage. The most common presentation to a chiropractor is WAD II. There is also other symptoms involved with whiplash, which include, but not limited to – headache, arm weakness, jaw pain, dizziness, vertigo and pain when swallowing. Do the symptoms occur straight away? 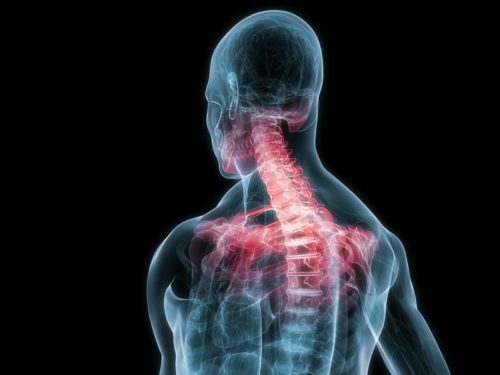 Whiplash symptoms do not always occur straight away. There can often be a delay of a few days in which the patient will start to report stiffness and a generalised pain around the upper back and neck. Is an x-ray or MRI needed? Imaging depends upon the symptoms. For a WAD I & II, imaging is not often required, as the injury is soft tissue. If a fracture is suspected, an X-ray will be needed. If there are neurological symptoms present, MRI is often needed to see and identify what is causing the symptoms. Do I need to wear a cervical collar to immobilise? No! A collar is not recommended, unless there is a fracture suspected or neurological signs present. The best thing for whiplash that is diagnosed as WAD I or II post injury is to encourage gentle movement. How long does whiplash last for? The duration of whiplash is quite variable and varies between person to person. Typically, recovery occurs withina few weeks, although it can last for up to 6 months and possibly longer. Receivingappropriate treatment and performing the provided exercises ensures the best outcome. After a thorough history and examination, an individual treatment program will be provided with appropriate manual therapy and rehabilitation exercises to help improve joint range of motion, decrease pain and loosen muscles. Joint manipulation is often used, although not always straight after a whiplash injury. If we deem that chiropractic treatment is not suitable for your injury, a referral to an appropriate health care provider will be given. If you are suffering from whiplash, please contact us on at Mona Vale Chiropractic Centre on 99975773 to make an appointment, so we can help you begin your recovery from a whiplash injury.